GQA Qualifications: Do you know the Winner of FiT Show Masterfitter Challenge 2014? Do you know the Winner of FiT Show Masterfitter Challenge 2014? In 2013 the first 3 places in the FiT Show Masterfitter Challenge went to individuals who had achieved Fenestration qualifications through a GQA Centre. In addition to this all but one of the other Finalists also held a GQA qualification. Entry to the 2014 competition has been open for a few weeks now and wouldn’t it be great to see the 2014 winner associated with your Centre? I am sure you can all think of Installers who have gone “above and beyond” and really excelled while working with you and your Centre; now is the time to get them to step up and prove it on a bigger stage and whilst achieving a GQA qualification is rightfully highly treasured, the title of Master Fitter and a £10,000 prize fund for the competition is a great incentive. The winner will walk away with £5,000, with £3,000 and £2,000 for the second and third places respectively. The winners will be announced during the FIT Show Gala dinner, in front of 800 guests. The 2014 Final will be held during the first 2 days of The FIT Show which takes place in Telford on the 10th, 11th and 12th of June. The Finalists will be required to install a window and a residential door, with the additional test of their skills and knowledge provided by a residential door that has some faults built in. The tests are not about outright speed, but efficient installation whilst observing installation best practice, health and safety procedures and of course, great customer-care. And of course, all under the watchful gaze of their peers, thousands of visitors to The FIT Show. To reach that stage competitors will have undergone a searching telephone interview, received a probing site visit by some of the UK’s most qualified and experienced fenestration assessors. It will not be easy. No stone will be left unturned to ensure an elite group of professional window, door and conservatory installers will be competing live before their peers at The FIT Show, on the specially constructed Pavilion. 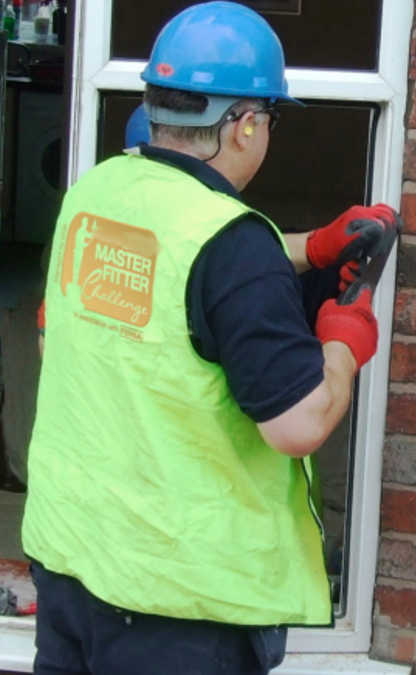 Will the next Master Fitter be one of your candidates? Applications can be made through the FiT Show website- http://www.fitshow.co.uk/master-fitter-challenge.